Loose Tube optical fibre cables have been designed specifically for internal and external applications. 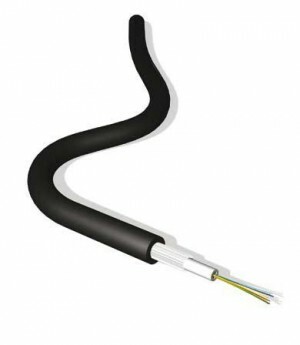 These compact, lightweight cables are extremely flexible and are quick and easy to install. The cables are constructed around a gel filled (non-dripping and silicon free) tube containing up to 24 colour coded 250μm primary coated 62.5/125μm fibres. This tube is covered with swellable (for the longitudinal water tightness) yarns as strength members. The outer jacket is Flame retardant, Low Smoke Zero Halogen. 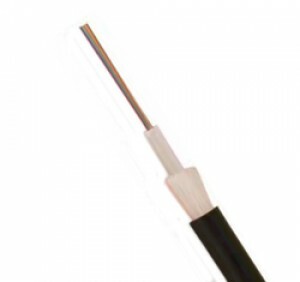 The corrugated steel tape (CST) Armoured loose tube optical fibre cables have been designed specifically for applications requiring a high degree of mechanical protection. These compact, lightweight cables are extremely rugged, provide rodent resistance and are quick and easy to install. The cables are constructed around a silica gel filled tube(s) containing up to 12 colour coded 250μm buffered 62.5/125 fibres. This tube is covered with E?glass strength members and a flame retardant, low smoke zero halogen, outer sheath. In 16 and 24 core cables, the twin bundle design provides both extra protection for the fibres but also enables faster and easier installation, whilst retaining a compact outside diameter. TIP: Use the Search by on left to help filter down your required cable type. If you need any assistance please call us on 01702 443810. Installers ask about our whitebox delivery service direct to your customers site. 4 core Singlemode fibre cable. OS2 loose tube. 8 core Singlemode fibre cable. OS2 loose tube. 12 core Singlemode fibre cable. OS2 loose tube. 4 core Multimode fibre cable. OM1 loose tube. 4 core Multimode fibre cable. OM3 loose tube.